I've got another video answer for you today. Today's question is about what the Bible says about how everyone is either 'in Adam' or 'in Christ'. It's perhaps not something we speak about as often as we should - for in the Bible this union with Adam and union with Christ undergirds the whole of the doctrines of sin and salvation. So it's definitely a good question. 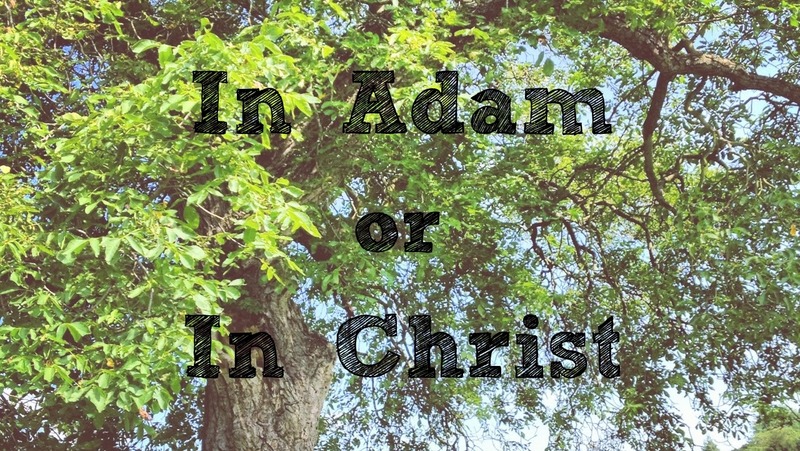 So, in the video we take a quick run through the two major New Testament Scriptures which set out this parallel (Romans 5 and 1 Corinthians 15) and see that the bad news is that we're all born in Adam, united to him in his sin and guilt, but the good news is that Christ has come as the second Adam. And where the first Adam sinned, Jesus obeyed and through His life, death and resurrection for us He has become the Head of a new humanity and snatches us out of the jaws of death in Adam, uniting us to Himself instead to share in His life and righteousness. If you can't see the video here (for those who subscribe by email or RSS), then click through to the Blog, or you can see it here on Youtube.